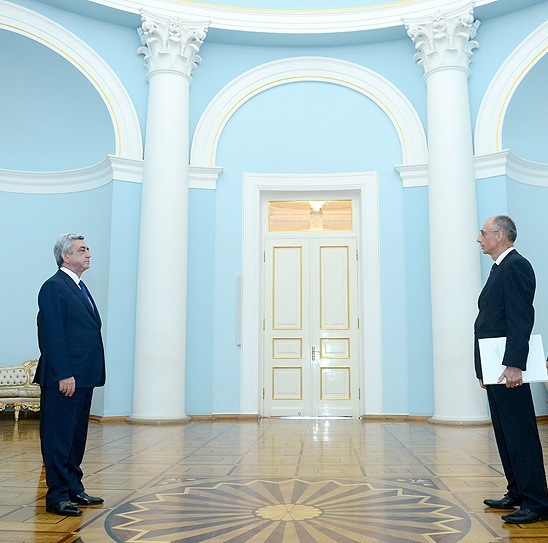 Today, the newly appointed Ambassador of the Republic Croatia to the Republic Armenia Ivan Starcevic (residence in Athens) presented his credentials to President Serzh Sargsyan. 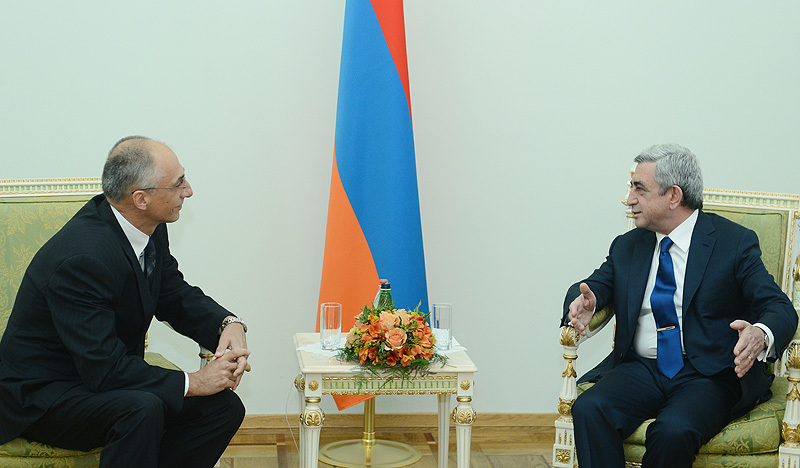 The President of Armenia congratulated the Ambassador on his appointment and wished him success in the fulfillment of his diplomatic mission in our country. 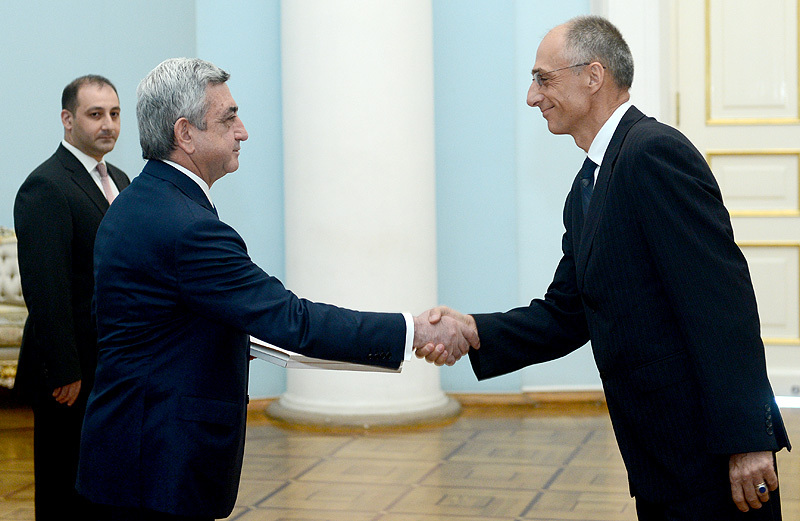 Speaking about the almost twenty-year long history of the Armenian-Croatian cooperation which started since the establishment of the diplomatic relations, Serzh Sargsyan noted with satisfaction that relations between the two countries are developing steadily and there is mutual interest to further and diversify them. At the meeting, the parties stressed the importance of cooperation of the two friendly countries also in the framework of international structures. Ambassador Starcevic assured that he would do his best to further strengthen and deepen the Armenian-Croatian relations.